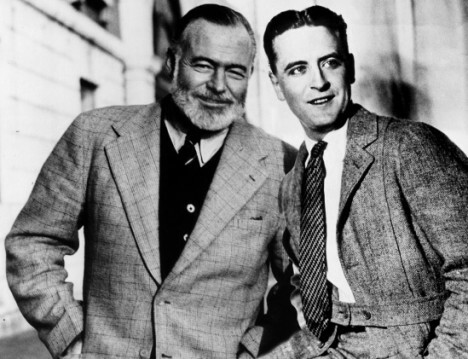 Ernest Hemingway may be added to the list of Shakespeare authorship skeptics thanks to Nina Green finding a Hemingway letter to Scribner editor Maxwell Perkins. Hemingway opens the letter datelined August 27, 1942 “La Finca Vigia” with praise for Alden Brooks’ Will Shakespeare and the Dyer’s Hand (Scribners, 1943) wherein Brooks proposes Sir Edward Dyer as the true author of Shakespeare’s plays. Dear Max: Thank you very much for sending me the galleys from Alden Brooks’s Shakespeare book. I think it is very possible, as he told me last fall in Tucson, that he has really nailed the man at last. He is so enthusiastic and follows so like a bloodhound and a district attorney with a record for convictions, on the trail of poor Will that he will alienate many people, but as you say he piles up a terrific amount of evidence. Anyway, it is a marvelous job and it would be a crime for it not to be published. He is a good man too and was a fine soldier. . . . I am trying to read proofs on Alden’s book, and it is most interesting. It is certain, to my mind, that the man Shakespeare was not the author of what we consider Shakespeare’s works. I’ve received a reply to the e-mail I sent to the Hemingway Letters Project advising that Hemingway did mention Alden Brooks’s book on the authorship issue in a letter to Maxwell Perkins dated 27 August 1942. The letter is on p. 539 of Carlos Baker’s Hemingway: Selected Letters (Scribner’s, 1981). It appears Perkins had sent Hemingway galley proofs of [Will] Shakespeare and the Dyer’s Hand, and in his letter to Perkins, Hemingway apparently says Brooks did “a marvelous job”. I’m hoping to get hold of a copy of Carlos Baker’s book containing that letter at the university library later today, and will post more once I have it. authorship in a letter to Maxwell Perkins dated 27 August 1942. Carlos Baker’s Hemingway: Selected Letters (Scribner’s, 1981), p. 539. The result of Green’s efforts is the August 27, 1942 Hemingway quotation posted at the top of this article and the photos shown above. 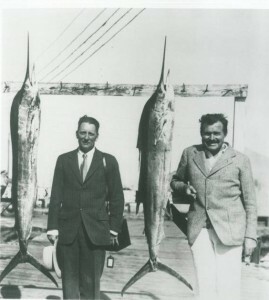 Hemingway letters after 1931 are not yet available on the Hemingway Letters Project site. Max Perkins was the editor at Charles Scribner’s Sons for some of the greatest novelists of his time, including not only Hemingway but also Thomas Wolfe and F. Scott Fitzgerald, among many others. Given that the works of these three writers so closely reflected their individual lives and perspectives, this devoted editor (who got so thoroughly involved in his authors’ joys and sorrows) was in the perfect position to see that the soaring, universal works of Shakespeare utterly fail to reflect the life and perspective of William Shakspere. To Perkins, given what he knew firsthand, the traditional belief that the Stratford man could have written those works was absurd. The reason for this tenacity, I suggest, is that he had come to realize the unbridgeable gap between the literary and dramatic works of Shakespeare and the personal experience of the Stratford man. It must have come as a profound shock. Max Perkins, who was so attuned to his writers and how their lives affected whatever they wrote, could feel that gap in his bones. A very interesting find, Hank. It underscores the notion that any intelligent and – or – well read person is a doubter, unless the influence of his emotions, his/her attachment to myths (Churchill) is stronger. Not for one moment Jonathan Bate gave me the impression that he truly believes the Stratford man to be Shakespeare – we all know it defies logic. Would Hemingway have read Looney? Hi Jan! I had meant to thank you for the comment. As to whether Hemingway had read Looney, I had wondered about that and about whether Perkins had read him also. I must look up whether Alden Brooks had read Looney before embarking on his Dyer research and writing. I am always curious about those who have read Looney and yet chose to look elsewhere for the true author. Cheers to you, my friend! Thanks for the shout-out, Hank! The direct link to the Oberon post “Hemingway shown Shakespeare skeptical” is http://oberonshakespearestudygroup.blogspot.com/2017/11/by-linda-theil-ernest-hemingway-may-be.html?m=1.